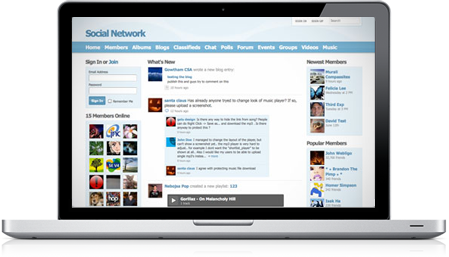 SocialEngine is a script that will allow you to build your own online community of people sharing similar interests. It has a large number of built-in features that will allow you to customize it as per your exact needs. It has been well-established on the market throughout the past few years and a number of popular companies use it, such as Electronic Arts, Shell, NASA, MasterCard and many more. SocialEngine is a paid product and you need to have a valid license for it prior to it’s installation on your account. There are currently three available licenses that you can purchase for the script. You can see more information about them or purchase such a license via the official SocialEngine website. As an official SocialEngine reseller, FastComet offers 20% discount on all SocialEngine Licenses.